Facilities makes a point to highlight the hard work of our team members. 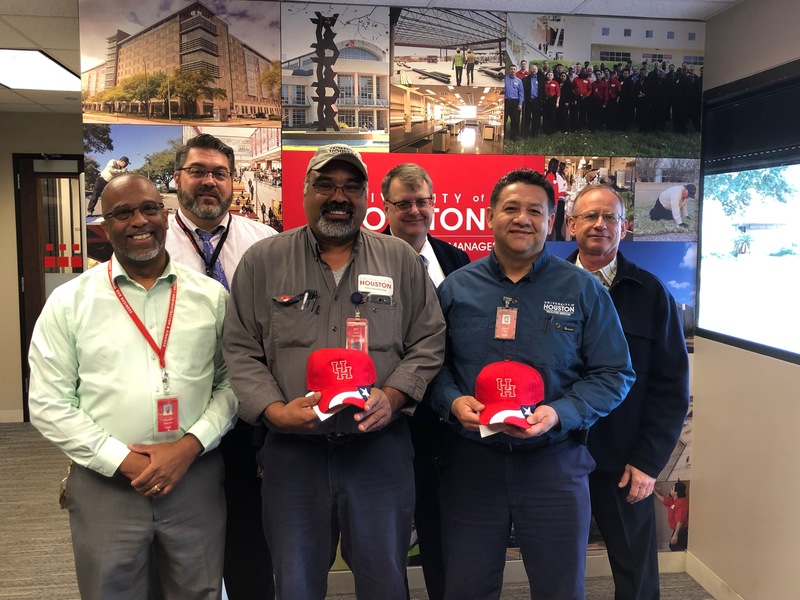 Recently, employees Jose Galeas, Bennie Lopez, and Dwight Wilkins were honored with an exclusive Facilities Construction Management Hat due to their outstanding achievement and commitment in their roles. In order to receive this award the employee must first be nominated by the supervisor of their respective department. Once the Employee Recognition Form is filled out by the supervisor, an Executive Director signs off and then Associate Vice Chancellor, David Oliver approves. Mr. Oliver had a vision for the F/CM hats which are limited edition and precisely designed for Facilities. So these hats are just as exceptional as the recognized team. Employee recognitions, are one of the many approaches used to focus on the influential work and dedication by our team members. These recognitions in the workplace, are great way to show appreciation overall acknowledge their everyday presence.